‘arf ‘n ‘arf received a Silver medal at the 2018 Australian Cider Awards. Previously it received Silver at both the 2016 & 2017 Australian Cider Awards. When you’re not quite one way or the other this cider hits the spot. 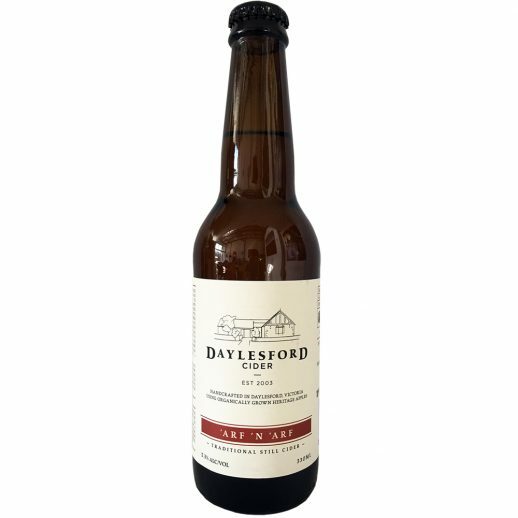 A very well rounded cider with great balance of astringency, fruitiness and acidity. A perfect accompaniment to a ploughman’s lunch. This is a traditional still cider (uncarbonated).